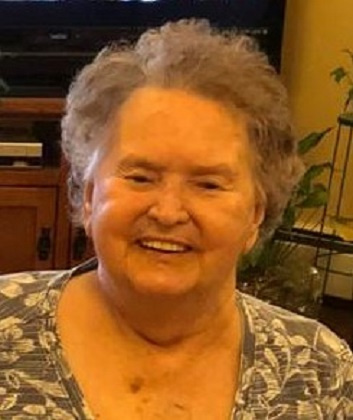 Bertha B. Clark, 92, of Oelwein passed away on Sunday January 20, 2019 at Oelwein Healthcare Center in Oelwein. Services will be at a later date (Spring). Bertha was born on April 9, 1927 in Oelwein, Iowa the daughter of Rudolph and Lottie (Raymond) Banes. She grew up in the area attending the Crab Apple Country School. On June 5, 1955 she was married to Floyd Clark in Oelwein, Iowa. She worked several different jobs but her big job was raising her family. Bertha enjoyed gardening, driving her car sightseeing and following NASCAR. She had a long life and will be missed by her family and friends. Bertha is survived by her children, Pam (Jake) Ledesma of Oelwein, Larry (Mary) Hiemes of Arlington, Shirley (Ron) Vawter of Hazleton, Loren (Vicky) Clark of Stanley, Floyd (Sandy) Clark of Oelwein and Janee (Mike) Feist of Fresno, CA; fourteen grandchildren; nineteen great grandchildren; two great great-great grandchildren; a sister, Elsie Hanson of Oelwein and many nieces and nephews. She was preceded in death by her husband, Floyd; a granddaughter, Hope Miculinch; and several brothers and sisters. Dear Clark Family - We are so sorry for the loss of your mother and grandmother. May you know God's presence in this time. Peace for this day and in the days to come. Please know that you are in our prayers, as you grieve from the loss of your mother, and as you heal from your loss. May God Bless your Mother with Eternal Peace. So sorry to hear of your Mother's passing. In our thoughts and prayers.